All things Startup and Business are entirely new to me. 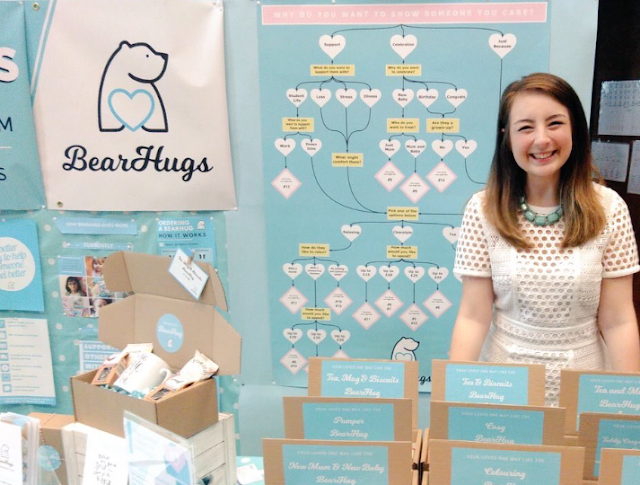 As I've tried to get my business, BearHugs, off the ground it's been a steep learning curve. At times, it's felt like learning an whole new language. So when it's come to pitching my business to people who undoubtedly have a much better grasp than I do, I've been incredibly nervous. I'm not a natural public speaker. Having all eyes on me is my least favourite thing in the world and just the thought of it brings on palpitations. The very first time I attempted a business pitch at an event hosted by Huddersfield University, I was mortified to completely freeze mid-sentence about BearHugs and forget everything I wanted to say. As I stood there on shaky legs, utterly exhausted with a blank mind, I wanted the ground to swallow me up whole. I just about managed to mutter 'I guess it's me who needs a hug' before retreating to the loos in tears. As I had a good old cry, I convinced myself that that was it, I would never attempt it again. Then I had the fantastic opportunity of taking part in the University of Sheffield's Evolve Startup Showcase competition. I learned that I was finalist and of course was filled with excitement. This was immediately followed by dread at the realisation that I'd have to get back on stage. 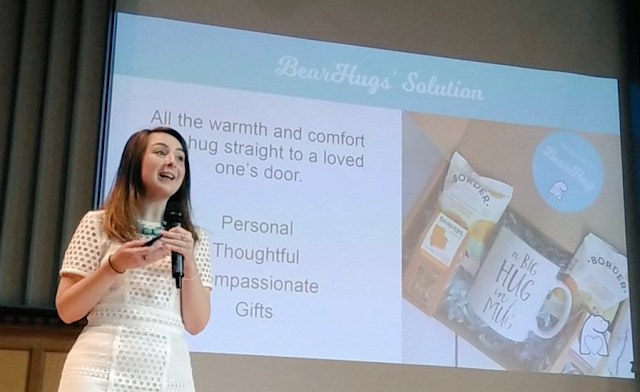 I argued it out wth myself though and in the end decided that my love for BearHugs one hundred percent won out over my fear of speaking. I bought myself 'Talk Like TED' in the desperate hope that the book would somehow be a miraculous cure for my crippling fear. The absolute best thing I took from it was a chapter about Amanda Palmer who spoke about 'The Art of Asking". It explained that, despite giving one of the most popular TED Talks ever, she too was terrified beforehand about public speaking. To overcome this, she obsessively practised. I decided to give this tactic a go myself. I forced myself to talk through my presentation out loud over and over again in front of anyone who would listen. I've always found performing for people I actually know far more terrifying than performing for strangers so this process was quite an ordeal. Gradually though, I did become desensitised and it was comforting to be so familiar with the content that I could practically do it in my sleep. When it came to the actual day of the event, I was amazed to find that when I got on stage the fear was there but nowhere near as crippling as it had been before. When I realised that I was almost half way through, a huge wave of relief hit me as I knew it was going to be ok. I wouldn't go so far as to say I enjoyed it but it felt amazing that it was manageable. To manage to speak reasonably confidently about my business with hundreds of eyes on me was one of my biggest personal achievements to date. To then later find out that I'd won the competition absolutely blew me away. I wanted to write this post so that in the future, when the nerves inevitably creep up on me again, I can look back it and remember that I've done it once so I can do it again. I suppose it's also nice to think that if anyone sharing the same fear reads it, they might see that if I, the scared-est of them all, could do it they definitely can too. Caroline, thank you so much for taking the time to leave such incredibly lovely comments here on my blog. Your kind words mean an awful lot to me and have made my day. I look forward to helping you send some BearHugs in the future. If you have any special requests, please feel free to drop me an email any time. This is so inspiring! Public speaking is such an important skill to have and I'm so glad you were able to conquer your fear! Ah Faye - I'm so glad I found your blog! This is such an inspiring post, what's lovelier is the message that the product portrays is equally uplifting. You're amazing girl!